Tablet-News.net / Android / MSI WindPad Enjoy 10 Coming This Month! A new MSI WindPad has been sighted at FCC over the weekend. The new slate goes by the name MSI WindPad Enjoy 10. The 10-incher is rumored to have an 800 x 480 resolution, running Android 2.3 Gingerbread and is powered by a 1GHz Cortex A8 chip with 4GB internal storage, 512MB of RAM, 2MP rear camera, mini HDMI, mini USB, SD card reader, Wi-Fi b/g/n, Bluetooth 2.1+EDR and a 5-7 hour battery. 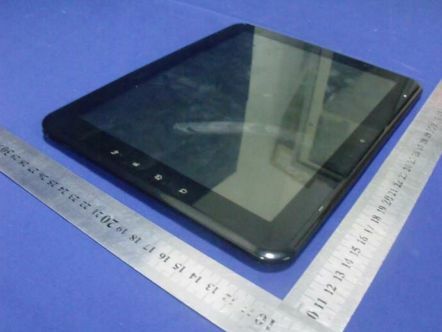 The tablet should be launched by the end of this month and will be priced under the $300 mark.